Insulation Removal Services in Virginia Beach, Chesapeake, Norfolk, Portsmouth, Newport News, and Hampton areas. Universal Insulation Doctor believes insulation removal in your home or business is a very important. Your decision to select the right company is imperative. Removing old insulation can help homeowners improve indoor air quality. In addition to contaminated insulation, insulation does settle over time. It can effect your home’s ability to maintain a comfortable cooling or heating level. Loose insulation has been found to settle as much as 20 percent over the first few years after installation. A Universal Insulation Doctor professional can check attic insulation to ensure you home is protected. We specialize in removing old or contaminated insulation in a clean | safe manner without creating a mess in or around your home. We use an industrial vacuum designed just for removal of damaged insulation from wildlife, smoke and water. A typical household attic that is covered in mold spores. 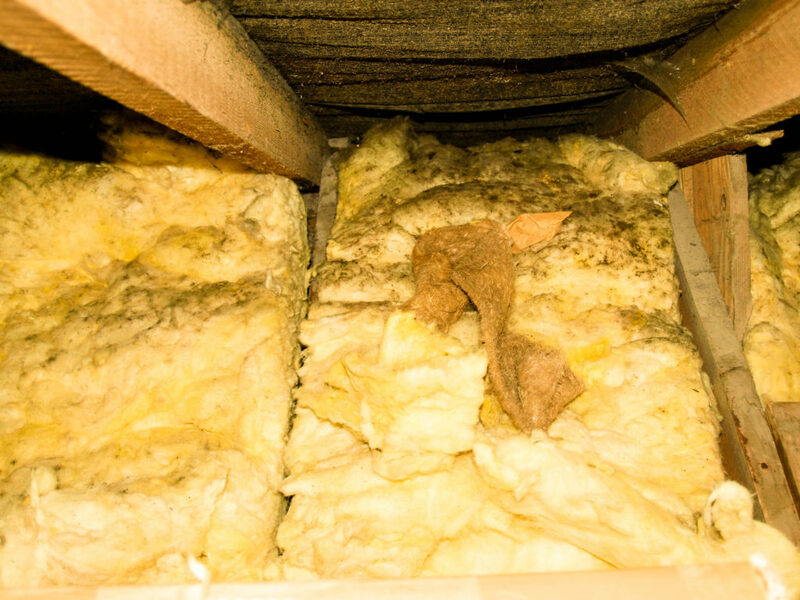 Why do you need to remove old insulation? Wet insulation can affect your health. A percentage of the air you breathe comes from your attic and crawl space. If it’s performed properly, insulation removal can be an easy and clean procedure. If not, airborne contaminants could enter your living space. We use only state of the art industrial vacuums designed for insulation removal. These machines dispose of unwanted insulation in a filtered bag that reduces dust. Get rid of old, airborne contaminates infested insulation with our Insulation Removal services in the Virginia Beach area. The insulation experts at Universal Insulation can get your attic insulation or crawl space insulation in tip-top shape for long-term energy efficiency and to improve air quality in your home. An attic that contains old or contaminated insulation is a potential health issue contributing to asthma or allergy problems. 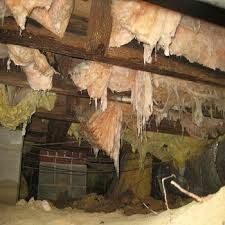 We specializes in attic insulation restoration. Our process is not just to remove and replace attic insulation but to also perform a sanitize application. This sanitizing treatment is very important if there has been a rodent or wildlife infestation. We often see attics that are strewn with animal feces from squirrel, raccoon, bat and mice infestations. Sometimes it is a home improvement project which warrants removing and replacing the insulation in an attic. Other times it is something as simple as old blown insulation trickling out of cracks around light fixtures and attic doors. Contaminated Insulation Removal: This is when wildlife such as rodents, squirrels, raccoons and other unwanted visitors nest and make a mess in your attic insulation and crawl space insulation. Insulation Over-Lay: This is when you just need additional insulation added to your existing insulation. Our qualified inspectors can determine if this what your home needs. “Universal Pest Guard Insulation™” Attic Insulation System: This is our exclusive system that includes a cellulose insulation product with a pest control blend. This will control insects that come in contact with the treated insulation. Sub-Floor Insulation: This is fiberglass insulation batts that are installed between your floor joist under the first floor living area. 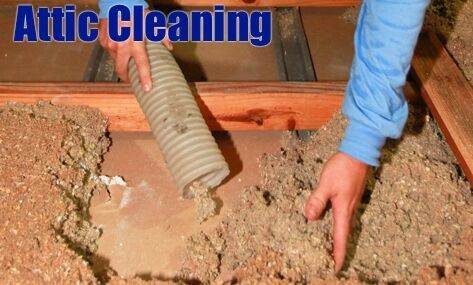 Air-Duct Cleaning: We also offer air-duct cleaning with our sister company Universal Duct Cleaning. Rodent Removal/Control: We offer pest control services through our parent company Universal Pest & Termite. Why should your insulation company be qualified in cleaning air ducts? Often if your insulation has been contaminated by rodents or wildlife, there could be a similar problem in your air ducts. Each time your HVAC system turns on, unseen contaminants could be entering your home. This issue could be contributing to health issues like allergy’s or asthma. This is where Universal Duct Cleaning steps in. Offering video inspections, air duct cleaning and air duct sanitize applications. For more information please visit our Universal Duct Cleaning site. Sometimes removing insulation due to a rodent infestation isn’t enough. Many consumers have had their insulation removed only to find the issue is in their air ducts. Having your air ducts cleaned after a rodent infestation will reduce the chance of contaminants entering your home. Q: How is attic insulation removed? A: We use an industrial vacuum specifically designed for insulation removal. This vacuum is designed to remove insulation directly from your attic and load into a filtered bag outside of the home. Keeping unwanted contaminants and insulation out of your home or garage. Q: Do we need to leave the home? A: Simply put, no. Because we use equipment which is designed specifically for this process nothing will be exposed to your home or family. We seal the access to the attic while the process is performed. Q: What about what the rodents have left behind? A: After the insulation has been removed and prior to installing the new insulation. We treat the entire attic flooring with a sanitizer. Q: Is this covered with our homeowner’s insurance? A: There are different policy types. Check with your provider for details on your policy. 1.Inspection: We take the time to make sure you are getting the service expected from Universal Insulation Doctor. 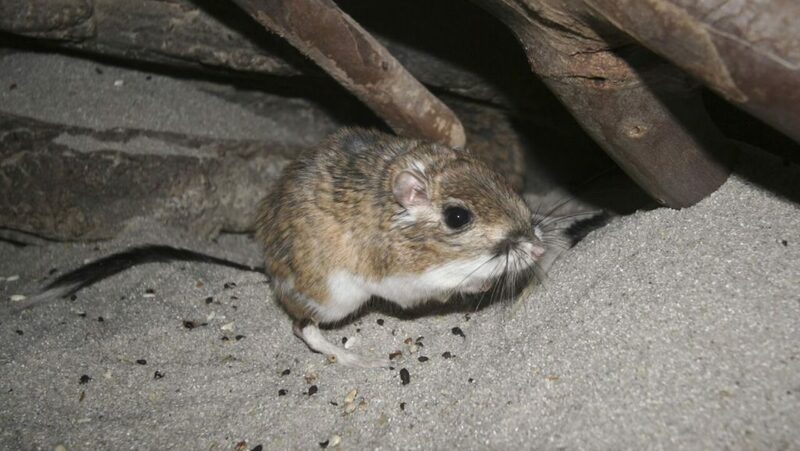 Our inspectors are trained to look for signs of rodent or wildlife nesting, droppings or urine. We can also provide (upon request) video or pictures before and after. 2.Service: With an A+ rating with the BBB we understand you expect the best service for the best price. our technicians attend regular training for insulation removal, insulation install as well as sanitize applications. 3.Follow Up: Follow-up process is the most important part of the service. We offer our 100% Satisfaction Guarantee. If you are not 100% satisfied with the service, we will come back as many times as necessary. No questions, no hassle. Added Bonus: The Universal Insulation Doctor understands discovering a contaminated insulation issue can be an unexpected surprise. Due to this , we offer “SmartPay”, our exclusive service now, pay later option. Call today for a Free Insulation assessment today. We are also affiliated with Universal Duct Cleaning. Offering state of the art service right from the initial inspection to the cleanup. We start with using cameras that allow us to see what’s hiding inside you duct lines. We then use either a contact vacuum or reverse air vacuum. The contact vacuum consist of us using a devise to agitate and vacuum the lines to remove debris. A reverse air technique is a high-power vacuum that can remove debris with minimal agitation. After cleaning is compete the technician will use a Hepa Vacuum to clean up. This type of vacuum will minimize the dust in the house.